2015 has been a big year for video games, with a lot of great games being released. If you are a video game fan like most of us are, there are a lot of games for you to choose from. For those of you that are looking for great games to play, here are the top video games for 2015. #5. Gears of War: Ultimate Edition. This is an update of the very popular Gears of War franchise that allows fans to enjoy the game on a whole new level. The Ultimate edition has been remastered in 1080p and was released on the Xbox One to allow fans to play the game like they never did before. It also comes with five new campaign chapters that weren’t on the original version. #4. Metal Gear Solid V: The Phantom Pain. This game is considered one of the best games of the year. It is the final chapter of the popular Metal Gear Solid franchise, and considered by many to be the best game in the series, which is high praise, considering how good previous installments have been. The Phantom Pain offers players with numerous ways to complete missions and still stays true to roots as a stealth game. If you have ever played a MGS game, you should definitely pick this up. Even if you haven’t, give it a try and see what everyone is talking about. This doesn’t come out until November, but it is one of the most anticipated games of the year. The game begins before the nuclear bomb drops, and follows your character as you take shelter in Vault 111, and emerge 200 years later. The game gives you a lot of options to choose from, you can wander the wastelands like you did in the previous edition, or you ca create your own settlement. Either way, you will be playing this one for quite some time. #2. Rise of the Tomb Raider. Lara Croft fans are excited that the new Tomb Raider game is coming out this year, unfortunately, it is only going to be available on Xbox One. The game picks off where we left our heroine last time, and continues telling the story of how our heroine became the badass that she is in the future. 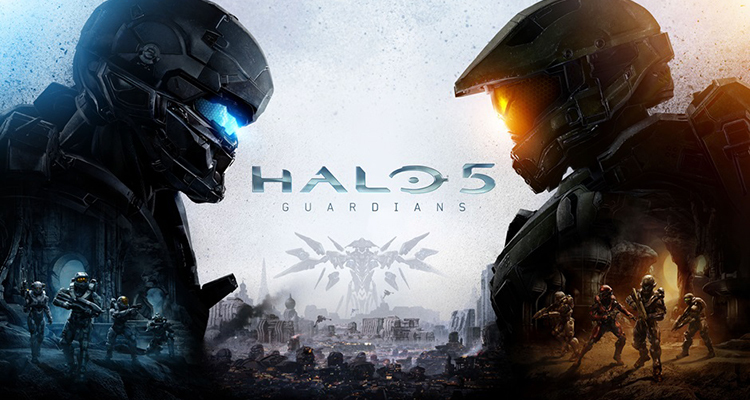 Halo is one of the most popular video game franchises in the world, so the release of Guardians is expected to be a very big deal. With Cortana possibly dead and Master Chief is missing, you will be playing with some new characters in this version. Either way, you are still going to have a blast playing this game.